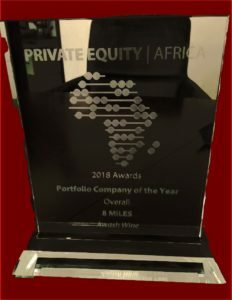 Awash Wine S.C. has won the award for Portfolio Company of the Year at the Private Equity Africa awards dinner held in the UK last night. The Award was in recognition for both the financial and the ESG performance of the company over the past few years. About 15 companies were nominated from hundreds of portfolio companies held by PE funds in Africa.